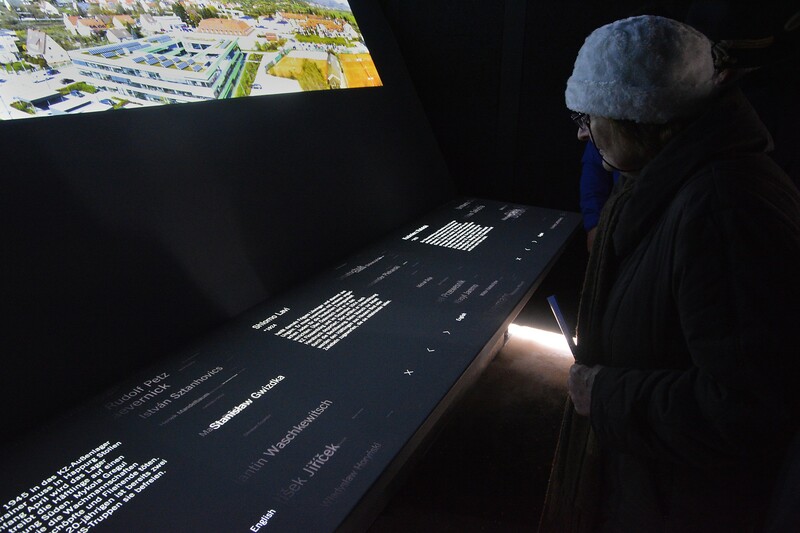 The second largest satellite camp of the Floss­en­bürg concentration camp was located in the town of Hersbruck, where 9,000 prisoners from all over Europe were held captive between July 1944 and April 1945. They were forced to dig a tunnel system in the Houbirg mountain for an armament factory in the nearby town of Happurg. 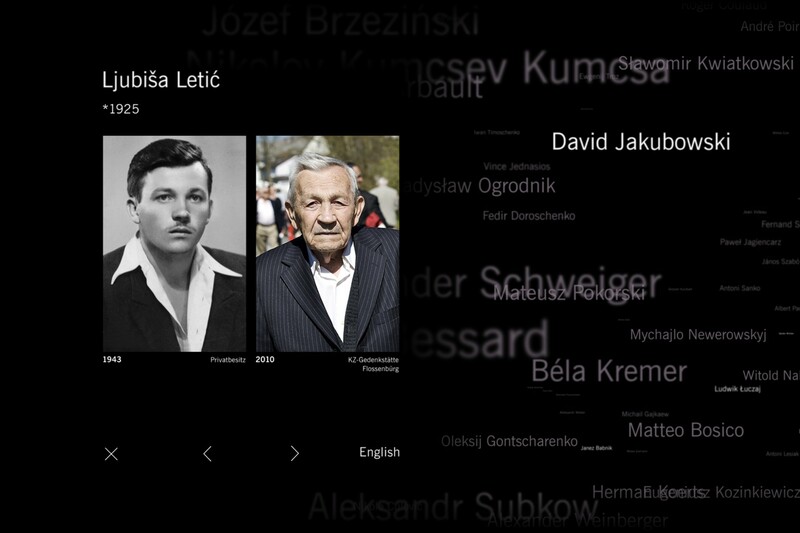 Due to the extreme conditions in the camp and during the labor, around 4,000 prisoners died in Hersbruck and Happurg. 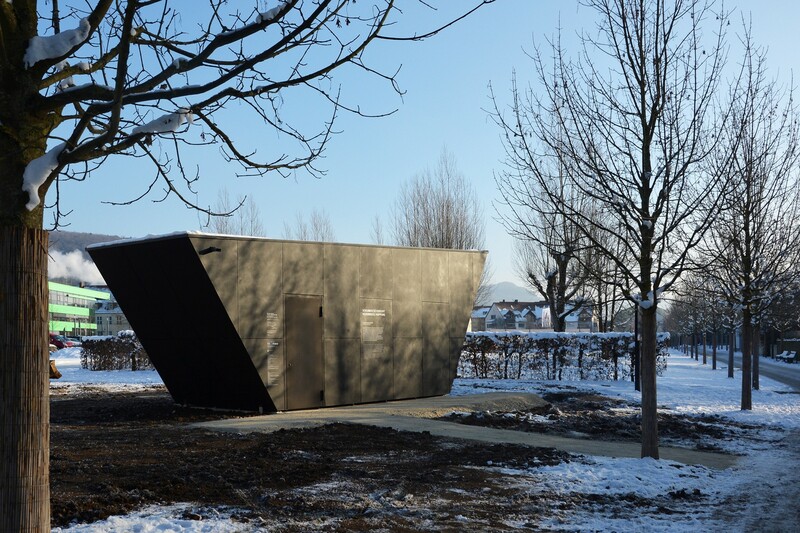 The Hersbruck/Happburg documentation site consists of two exhibition modules pointing to each other: a media installation in Hersbruck at the former location of the camp and an open air exhibition module in Happurg at the former place of forced labor: the prisoners were forced to commute 4.5 km by foot between these two locations all year round. 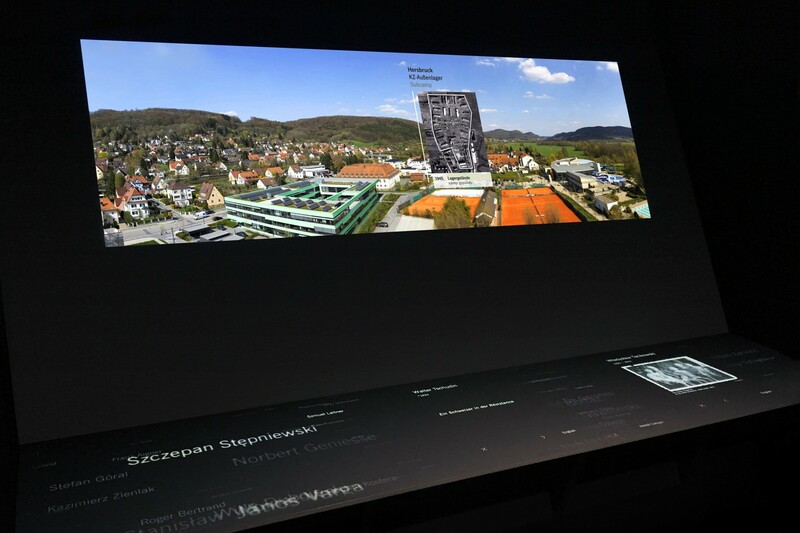 The Hersbruck installation features a projection of a 360° panoramic video of the surroundings of Hersbruck focussing on historically relevant places. 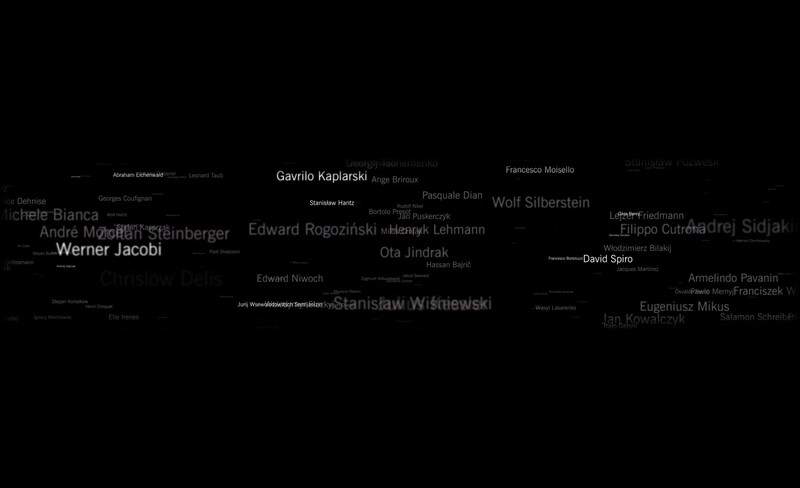 A large multitouch table displaying the names of all the 9,000 known prisoners was designed and developed by Markus Lerner in collaboration with Bertron Schwarz Frey, who created the exhibition architecture for both locations. 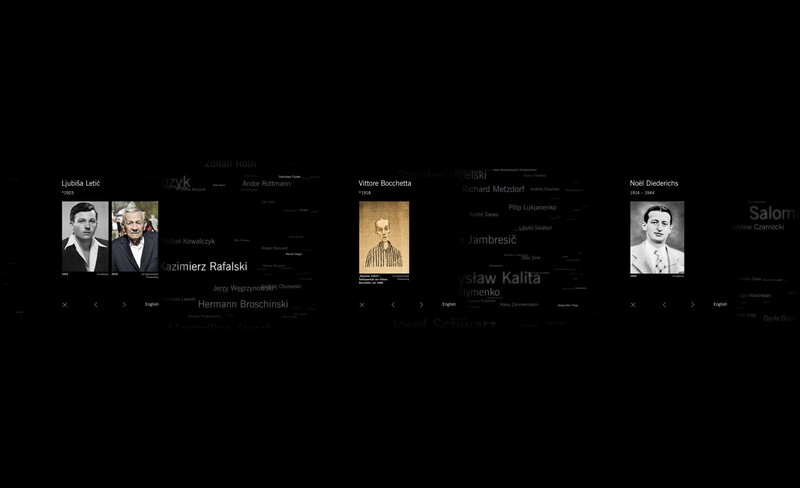 By touching the highlighted names, multiple visitors can simultaneously explore 90 representative biographies of prisoners from various countries featuring stories, animated quotes and images.